As a child, my daughter loved the vegetables many children and adults love to hate. Cauliflower, broccoli, asparagus, and spinach, which she has liked since she was a baby. Along with those vegetables, carrots and corn are among her favorites. She loves eggplant, cabbage, and all the basic veggies too -- green beans, peas, etc. She is not fond of Brussels sprouts and beets have lost their allure since she has grown up, but tastes modify with age, so those may come along eventually too. Brussels sprouts, cauliflower, and broccoli especially, are best fresh from the produce department – or better yet, from your garden or the farm market. Frozen is good, but for these particular veggies freezing seems to remove some of their good flavor (IMO). Canned spinach is great for certain recipes, like soups and casseroles, but it's so yummy fresh in a salad -- or steamed from frozen spinach and then lightly buttered. Spinach prepared with the steaming method disappeared almost immediately when I cooked for a family. Sometimes the way a vegetable is prepared can make all the difference in whether or not a child (or even an adult) will like it. One thing that can help a child to love fruits and vegetables is seeing YOU love them. Children like to model their parent’s behavior. If you love carrots, it is more likely that your child will love them too. I used to insist my daughter try new things, just a tiny bit so she could see if she liked them. After a reasonable test, she did not have to eat them if she did not like them, nor even test them again for a couple of months or so. Tastes change over time for both adults and children, so things you do not like today, may seem wonderful in a few months or years. Again, preparation can make all the difference. If you, or your child(ren) dislikes a vegetable or fruit prepared a particular way, then try preparing it differently. The Internet is a wealth of information on everything imaginable, especially recipes. Just Google whatever vegetable you want some recipe ideas for. Simply type “recipes for zucchini” or “recipes for tomatoes” or whatever vegetable or fruit you need a new recipe for and you will soon have a variety of selections to choose from. There is no better way to insure your child will HATE something, than to force them to eat something that makes them gag and choke, because to them that food is gross and disgusting. Never force a child to eat something they dislike. To do so all but guarantees they will hate just the thought of that food for life. Try to make sure your child gets proper nutrition by serving veggies s/he does like, but also ask them to try something new from time to time that is not their normal fair. Let them taste a small amount, and then if they do not like it, forget about it for a few weeks or so. Make sure they see you eating the new food and enjoying it. Before getting to the "try it" stage however, talk about how much you are looking forward to eating one of your absolute favorite foods for lunch/dinner, etc. When you sit down to eat, ooh and ah about how yummy it is. If your child refuses to even try, or decides they do not like the food after tasting it, just remark that there will be more for everyone else and let it go. Do not make a huge fuss about their dislike. Do not turn it into a power game. One or both of you will lose that battle. No bribing should be necessary. If I thought you would pay me for eating my veggies, I would wait for your offer before eating even the ones I love! When to start your child learning to play an instrument, and some of the many benefits your child can gain in other areas besides music as a result. Using the arts to teach creative and critical thinking includes teaching self esteem and leadership skills. Be a good example to your children. Always be willing to try new foods and they will follow your lead. In fact, make trying new foods a favorite activity. If you like to go to restaurants often, make a point of trying new restaurants at least once a month and make it sound like an adventure to look forward to, which it is, right? Start them on fruits and vegetables when they are babies. At two months your baby should be eating strained or well-mashed fruits in addition to cereal, and formula or breast-feeding. 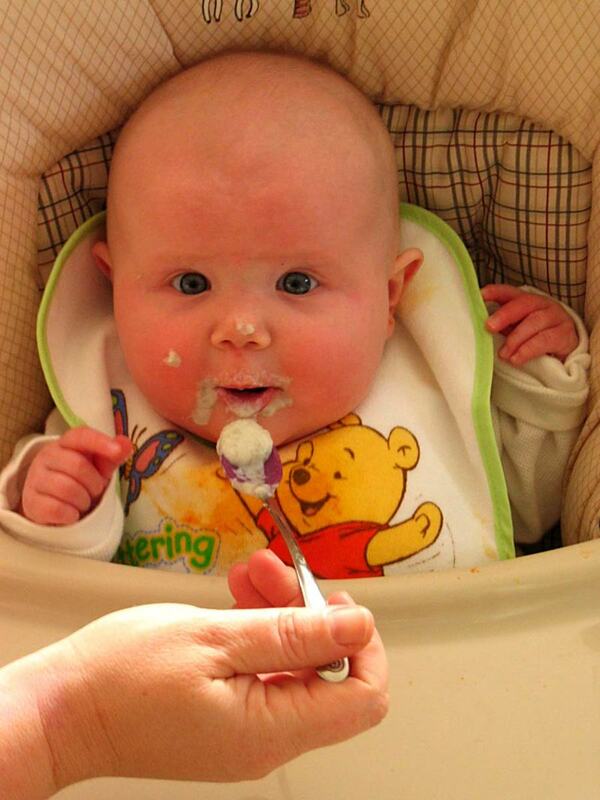 I know a lot of websites recommend waiting until 4 months, but all the mothers in my family encouraged solids at 2 months and my daughter was loving her strained/,mashed pears, applesauce, and peaches starting at 2 months of age. Vegetables should wait until 4 months because your baby’s digestive system may not be ready to deal with them yet at 2 months. Start your child on cauliflower and broccoli when they are about 5-8 months old, after they have learned to enjoy squash, beets, and spinach, and yummy veggies like that. By that age you could be mashing the vegetables yourself instead of buying expensive processed baby food. A fork works fine for mashing in most cases, but if you prefer there are small blender appliances that work easily in a 16-ounce or smaller container. Do not serve your child a vegetable for the first time when you have guests. It would also be best if your child were not first introduced to a new food at a friend’s home where you may be having a family lunch or dinner. You cannot control what other people say. If even one disparaging word is said about a particular food that your child has not already tasted and likes, once they hear negative opinions about it, it will be that much more difficult to get them to give that food a fair minded try. If your friend has children and they love the foods that are being served, that is a different story. Let your children see how much their friends love the new food because that will often have a lot of influence on their own opinion of that food. It should not have to be said that neither parent should ever say anything negative about a new food no matter how much they hate it -- not where the children will hear. Food dislikes should be one of those secrets parents share only with each other. Peggy Woods, thank you for your comments on this article. I love broccoli, cauliflower, spinach, Brussels sprouts, and other veggies that aren't most people's favorites. So far I haven't had the opportunity to taste the pizza crust or the French fries you mentioned, but I hope to do so one of these days soon. They sound like great ways to incorporate more healthful foods into everyone's diet. This post of yours is truly timeless. Most people do know the importance of eating vegetables. I have noticed that it is getting easier for people to eat more healthy versions of things these days. Cauliflower pizza crusts are one small example of making a much-loved food into a healthier version. There are even frozen french fries with broccoli in them as a component. Smart packaging! Mimdy-Jicobs, thank you for stopping by! New babies do make a lot of changes in one's life when they arrive. My baby is now 27, but when she arrived she was what is termed a "high-need baby." She cried almost constantly and slept only an hour or so a day so it seemed. Eventually she started sleeping longer, but often during the day and at short intervals. My sister who had 3 children advised me to keep my daughter away during the day. Her father assisted me in this endeavor. Daughter wanted to stick with what had become her regular schedule, so keeping her awake wasn't easy, but we somehow managed to do it. Put her to bed about 7 PM and she slept almost entirely through the night! She was 2 months old at the time, so there were a couple of feedings, but she went right back to sleep after them. From that day forward we had a baby that slept during the night and in fairly large blocks of time. It did her no harm to be kept awake. She was healthy before hand and so keeping her awake had no ill effects. It was harder on her father and I than on her, I think. It made a big difference in getting our household onto a 'normal' schedule that worked much better for all of us. Good luck. Believe me, I do know how difficult things can be when baby won't sleep or won't sleep when the the rest of the household does. 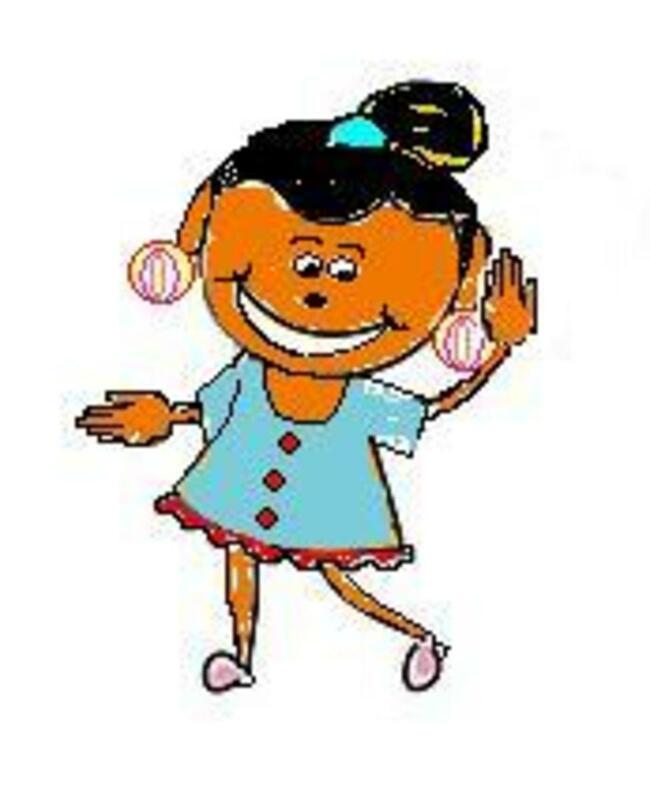 Peggy W., thank you for sharing your experience with your young neighbor and for sharing this article! Our neighbor behind us has small children. The oldest I believe is in 2nd grade. The young boy is particularly picky in his eating and does not like to try new things. I recently made some lasagna for them and after smelling it baking and the "oohs and aahs" of his other family members eating it, he gave it a try and ended up liking it. Good psychology and being a good example to children is often what ends up succeeding. Like you did with your daughter, my parents always made us try just a bite of a new food item and did not force the issue. Tastes definitely change with time! Sharing once again! Peggy W, thank you for Tweeting and sharing this article! Wishing you only the best of everything all through 2015 and beyond! This information is classic and timeless as long as there are parents who will be feeding their children and encouraging them to consume their vegetables. Sharing once again as well as giving it another tweet. Happy new year! Only 2 more days now! Thank you PegCole17, for reading and sharing your thoughts on this subject. I was lucky that my daughter's favorite foods were fruits and vegetables. Thanks for the Congrats too!! Congratulations on receiving Hub of the Day for this informative article. Starting young and encouraging good nutrition is a great way to introduce healthy food habits in children. 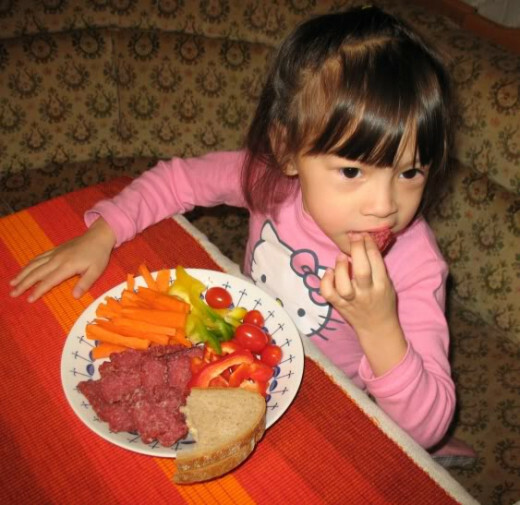 I was lucky to have a young child who loved to eat just about anything, including veggies. Thank you Deborah-Diane, for sharing the joyous news that you have a beautiful new grandchild and for sharing this information and voting on it! I hope it will be helpful to your daughter. These are great ideas for young parents ... and we have one daughter in our family who just had a baby. I'm sure she will enjoy reading this. Voted up and shared! Thank you Shyron, for the votes, the high praise, and the pin. I hope everyone will read this so that they won't make their children sit at the table (like my father made me do) until they have eaten whatever it is they don't want to eat -- in my case, for several hours and I was not yet in school. Thank you for stopping by beadreamer! This is an Awesome hub Au fait. I am so glad it was chosen HOTD. I hope that my granddaughter has read this. Voted up UABI, shared and pinned on Amazing Hub Pages. rebeccamealey, thank you for stopping by! No, you didn't miss it, look up above in the comments. :) Thank you for the congrats! It was a surprise to me when I signed in one morning and saw it and wondered who had stolen my photo. I had no idea what was going on until I looked and saw they'd stolen my hub too! And put it as HOTD. Hope you're having the best Sunday! Dolores Monet, thank you for reading and sharing your experience on this issue with me and my readers! I grew up on a farm and my mother had a huge garden every year to feed our family of 7. It was at least an acre, maybe more, plus raspberry and strawberry fields that took up a lot of space too -- and asparagus hills . . . I feel like my own daughter missed out on so much by growing up in the city and not having first hand experience growing plants and taking care of animals. She has pets now, but growing up we had none because I'm allergic to all animals. Every child should have the wonderful experience of growing things, both plants and animals. Moonlake, thank you for commenting, voting on, pinning and sharing this article! I can't imagine why anyone wouldn't like tomatoes. There are a lot of different ways to prepare them, and would't you think at least of of those ways would satisfy? Tomatoes have a lot of health benefits. Hopefully they'll change their mind one day, because tastes do change all of a person's life. Tillsontitan, thank you for reading and sharing your thoughts on this issue and for voting on and pinning/sharing it too! Always happy to have you visit. Thank you also for your high praise. It is very simple, give them vegetable from youngest age and they will not have such an issue with it. Congrats on HOTD! When my kids were small, we kept a vegetable garden and allowed them to help out digging, watering, and harvesting. They thought the whole idea of veggies was fun and seeing them grow and ripen, just plucking a fresh tomato I think helped them to view vegetables in a positive light. This is so good for parents of young children. This was a great pick for a HOTD, congratulations a little late. I don't know how I missed this one. How on earth did I miss this? And a HOTD no less! Great advice certainly from one who practices what she preaches! Well done my friend. My grandson eats more fruits and vegetables than I even heard of as a kid ;) Certainly eating them yourself and not forcing them on your child are two of the best ways to get him/her to eat them. My grandson actually prefers raw vegetables over some cakes and candies. Starting young is certainly the best first step. Voted up, useful, interesting, pinned and shared. When I said our kids eat everything in my last comment, they don't not one of them will eat tomatoes. How crazy is that we love tomatoes. Pin this and vote up, sharing with followers. Thank you for stopping by Sam. Vegetarian diets are the most healthful of any diets if you take care to make sure they are balanced. You might want to check out my hub: Vegetable Protein Substitutes For Meat -- How To Combine Incomplete Proteins To Make Them Complete. 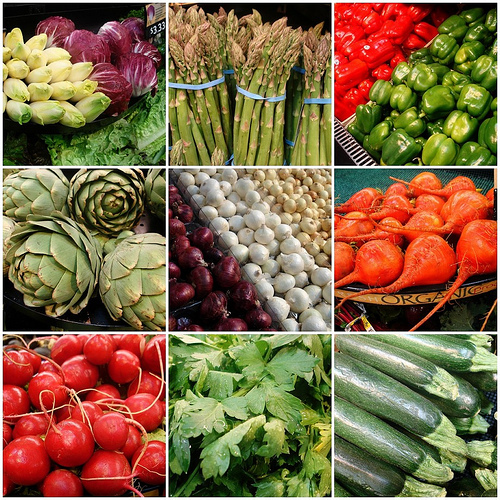 A vegetarian diet is not only more healthful, but also more economical. It costs less to eat the vegetables first hand than to feed them to another animal first and then eat the animal. Most food born diseases are to be found in meat. In fact our bodies were not designed to digest meat. God didn't give permission for humans to eat meat until after The Flood. People ate meat prior to that, but they often were sick and died as a result. I'm not entirely a vegetarian myself and I see no harm in eating dairy products that don't harm the animal. I don't go out of my way to eat meat, but if someone invited me to dinner and provided a beef or pork roast for example, I wouldn't refuse it because they were kind enough to invite me and provide a meal. Innards are another matter. I won't eat them no matter how rude it might seem. I hate liver, and the idea of tongue or brains, etc., is nauseating to me. However, to each their own . . . The farm bill being considered in Congress right now, if passed, according to some people, will wipe out decades of advances that required people to treat animals more humanely. To be sure animals are treated pretty badly by humans and corporations, slaughterhouses, and feedlots, etc. Lots of people refuse to eat animal products or to even wear leather or fur for those reasons. I love vegetables even more than fruits. Nuts and grains are a big part o the vegetarian diet too. A vegetarian diet has lots of options and if you read my hub listed above, you will see that there are lots of different ways to make sure you get a well balanced diet. Be healthier, save money, and be kind to our animal friends -- choose to eat vegetarian as much as possible. Hey Au Fait sorry if I got veganism and vegetarianism mixed up I didn't know there was a difference. Hey Au Fait. This article here reminds me of something that I would like to ask you would you recommend that people switch to a vegan diet or at least consume more vegetation than animal products. The reason why I ask is because I have been reading a lot about vegetarianism and vegan diets lately and I am thinking about possibly switching to a vegetarian (or almost vegetarian) diet though I am not sure yet I would like to try tasting different kinds of fruits and vegetable that I have never tried before to see if I can live on a vegetarian diet. There are a couple of reasons why I am considering doing this but one of the main reason is that I feel uncomfortable with the way animals are treated before they are killed I have been reading more about that lately. Thank you Deborah-Diane for pinning and sharing this article! Great info! I pinned this to my Parenting board and shared it with my followers. Thank you Peggy W for tweeting this hub! Pinning this to my Useful Tips and Ideas board on Pinterest. Moms and Dads should really like some of these ideas! Thank you Careermommy for reading and commenting on this hub and for sharing your personal experience. I'm glad to hear you don't force particular foods on your children which almost always causes children to hate those foods forever. I'm also glad you try to avoid your children having the bad experience you had as a child. Deborah-Diane, thank you for your comments and votes! 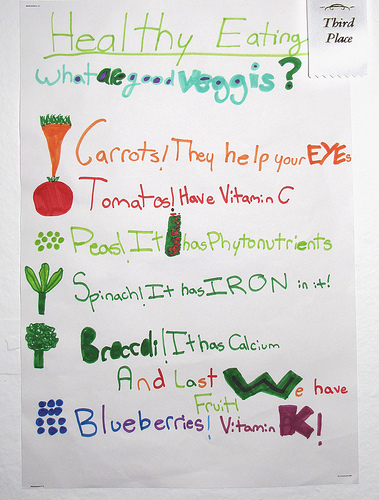 These are great suggestions to get your kids to eat their vegetables! Definitely voted up! Thank you for stopping by Shyron. Congratulations on becoming a great grandmother. Is this our first great grandchild? I hope your grand-dauhter will read this hub too. Amanda, thank you for sharing your experience with us in your comments! Often whether or not someone likes a particular food is dependent on how it is prepared and presented. I suspect your sister-in-law and her sons don't want to admit that they really like broccoli when it's in your yummy casserole. They might also enjoy broccoli steamed with a little garlic included and dipped in cheese sauce. Great topic! I think you're absolutely right about making sure there are no negative comments about the food, especially in the home. I read somewhere that if you feed your baby vegetables first they will grow up to love them. I tried it and they all are veggie lovers. I am also a veggie lover so they had a good example. When they started school is the first time they ever heard anything negative about vegetables. So, to me it seems like more of a learned behavior. My sister in law would always say stuff like ''ewww broccoli'', guess who doesn't eat it....her boys and her. For the record, I've convinced them all to eat it at some point but they all say they will only eat it if it's in my broccoli and cheese casserole! Peggy W, thank you for reading, commenting, and voting on this hub, and especially for sharing! Thank you too for the high praise. Glad you found this hub interesting and maybe something useful. Winterfate, thank you for reading, commenting, and voting on this hub! Glad you found in worthwhile. I hope my granddaughter reads this, greatgrand baby born 21st. voting up interesting, useful and awesome, not in that order. Reading this particular hub reminded me of how I used to be as a child. Of course, my parents tried power games on me. It wouldn't work. I'd rather starve than eat something I didn't like. This is a TERRIFIC article! It is no wonder that it got a Hub of the Day Award. It is filled to the brim with good advice regarding encouraging children to eat their vegetables in all the right ways. You are one smart lady! All kinds of up votes and definitely sharing! greenpharmacy, thanks for stopping by! johnr54, thank you for reading and commenting on this hub! Getting children to eat food that is good for them is such a hassle sometimes! Glad you could find some helpful ideas here. Londonlady, thank you for reading and commenting on this hub! Tastes change over our lives, and since we are not all the same, we do not taste things the same, see colors the same, or even hear sounds exactly the same way. Patience and time can often make such a difference, but forcing children to eat something they find disgusting all but guarantees they will hate it forever. I always give turmeric or fish oil to my kids.The result is quite significant! Thanks and voted up! Thank you DzyMsLizzy for reading, and commenting on my hub, and for your congratulations! I couldn't believe it when I signed in one early morning and saw my hub. At first it looked familiar and then I realized that was because it was mine! Sounds like you did well with getting your kids to eat their veggies and like them. The second part is usually the hardest -- getting them to like them. Nornsmercy, thank you for reading and commenting on this hub! I know what you mean because my father did the same thing to me but with breakfast oatmeal and cream of wheat. renegadetory, thank you for reading and commenting on my hub and for sharing your personal experience. I remember when one of my nieces was small, about 4, and she hated vegetables. She would be given a carrot so small that it was hardly visible to the naked eye, yet she would then slice it with her spoon into pieces smaller than shreddings and then have fits while eating even such small tiny pieces. Her mother told her she would put the carrots in her chocolate cake, which she loved, and made the cake that afternoon. My niece spent a loooong time inspecting her piece of cake looking for carrots in it. Sauces and soups sound pretty good. Hopefully your children will have a change of heart as they get older. rebeccamealey, thank you for reading/commenting on my hub and for noting my hubpages honor! My father would make me sit at the breakfast table after everyone else had finished for an hour or two, or until I had eaten the oatmeal he'd insisted I must have. Even as I was gagging and choking on it he insisted I eat it 'til it was all gone. The taste and texture was disgusting to me. Oatmeal is OK in meatloaf or cookies, but I will never eat it or creme of wheat (same story) even if that were the only food left on Earth. I've never prepared it for my daughter so I don't think she's ever tasted it. pstraubie48, thank you for reading and commenting on my hub, and for taking notice of my Hub of the Day honor. We were encouraged to eat right by our teachers in the lunchroom when I was in elementary school too. Thank you for the angels too. One of those things one can never have too many of! Blessings to you and your loved ones also. Thank you moonlake, for stopping by and giving me some recognition! 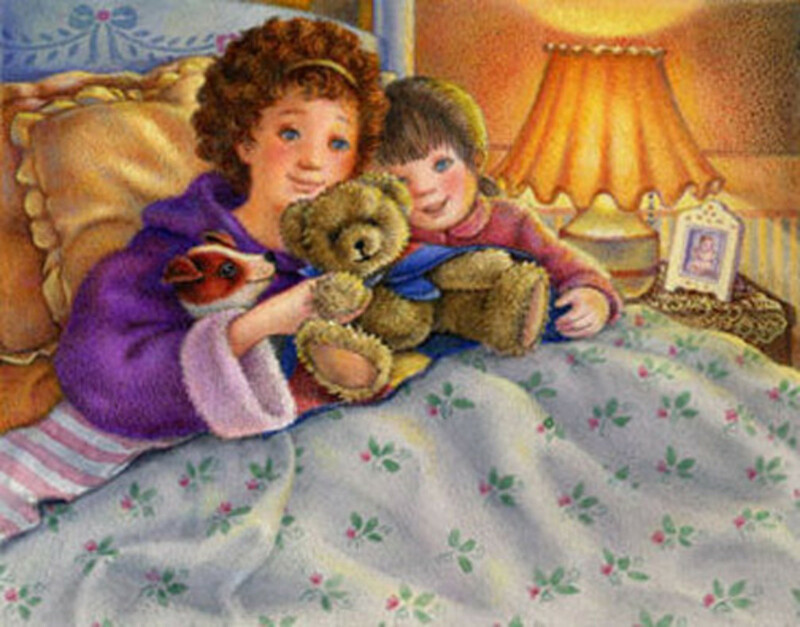 Children do vary and while most children may fit a particular schedule or pattern, others may not. I hope everyone who reads this hub will tweak the ideas here to fit their own children and families. Glad your grownup children enjoy their veggies and trying new foods because they will be a great example to your grandchildren! Hope your Thanksgiving was fantastic! Thanks again . .
TToombs08, thank you for your good wishes! Teenagers and preteens can be difficult. Where I work middle school children are considered to be the most challenging of all the age/grade levels to deal with. Thank you for commenting on this hub geetbhim. Voted up and even this experienced mother (of 29 years) picked up a couple of tips! I definitely agree when you say not to force your child to eat something they dislike. I just found out that some people have a gene that allows them to taste bitterness to a certain degree, so for some kids broccoli might taste absolutely disgusting while to others it might just be slightly bitter and to others it tastes quite pleasant. Haha, I wish my parents had known this while I was growing up! Now I'll cut my kids some slack if it's in their genes. Great hub! Voted way up! Congrats on HOTD!! Well done. You make good points. My kids grew up liking vegetables. Why? I did a "switcheroo" on them as infants. Back then, it was the 4-month marker when solids would be introduced. So, rather than have them develop a sweet-tooth too young, when the pediatrician said I could give them strained apricots and peaches, instead, I substituted the corresponding yellow veggie: squash. All along the line, I gave veggies before introducing fruits, so by the time all were in the diet, they became non-picky toddlers. I'd never do it any other way. Your suggestions about how to introduce new foods to older kids are spot-on, don't say you don't like it, or try to force them to eat it. Everyone is different, and no two people are likely to enjoy all the same things. Voted up, interesting, and useful. Les Trois Chenes, thank you for reading and commenting on this hub. I do think it doesn't hurt to require children to eat healthful food before they are allowed to have the sweets and less nutritious foods. Let them have their choice of what healthy foods they will eat in order to offset or 'pay' for the deserts, candies, and chips. This is a very useful hub. Voted Up++. When my children were small (a long time ago), two of them were very picky eaters. I mixed veggies with foods they loved by making up my own recipes. Another tactic was to chop veggies they would normally disdain, add onion, a beaten egg and enough flour to make a patty, then cook it in a pan just barely greased with vegetable oil. Back then I used safflower oil. Today I would use extra virgin olive oil. We all learn as time goes on. My first daughter ate veggies no problem, in fact she ate pretty much whatever I put in front of her. However, my two youngest kids won't touch veggies. It's so bad that I have to sneak veggies into sauces and soups, because if my daughter sees a vegetable, she will say "yuck" and pick it off her plate. This forces me to be very creative! I still put veggies on her plate at mealtime so she knows that it's part of a healthy meal, but wow, talk about a struggle! I agree! It is a bad ideas to force kids to eat what they don't like. Congratulations on HOTD! Congrats on Hub of the Day. We always fed our kids by the time line you have but our grandchildren couldn't be fed solid food until they were 8 months old. I know, crazy isn't it. I had some picky eaters and it was hard getting the vegetables in them but they grew up and eat everything now. Guess I didn't have to worry so much. Great tips enjoyed your hub. Congrats for the hub of the day! It is quite easy to introduce new fruits and veg to the toddlers but the most difficult task is to feed those grown up kids when they know what to choose, I mean when kids are in their teens they become more choosy and you cannot force them to eat what you like even though it is good for health they refuse it. My son when he was toddler I use to give him all short of fruit and veg he can even eat bitter gourd, but now he is 11 year old and refuses to eat veg like cauliflower, cabbage, no way he can eat bitter gourd now, he enjoy all those burger,noodles etc. Great advice. I agree with all of the above, plus with my son I always insisted that a 'good amount' of the main course should be eaten before he could pass on to the dessert. I also think junk food and sugary food mitigates against children eating 'real food'. I wrote about this in 'The Problem With Food' - the food our children eat is a political problem as well. Thank you Om Paramapoonya for reading and commenting on my hub! Yes, there are ways to persuade children to try vegetables and new things that make it seem like fun. That works on lots of children. Great tips. I agree we shouldn't just force children to eat what they don't like over and over again, hoping they would eventually learn to enjoy it. It never works. I remember when I was kid, my grandma would convince me to eat more veggies by making them look prettier. For example, sometimes she would cut yellow bell peppers into small stars. This little trick might not work on every kid, but it surely worked on me! Thanks again! Have a great evening. Thank you for reading and commenting, Brett.Tesol. Nearly all young children model their parents behavior no matter what it pertains to. If vegetables and fruits are not a part of a family's regular diet and one or both parents refuse to eat them or say negative things about them, they are influencing their children to be the same. Smoking and other habits are encouraged by parents when they model that behavior to their kids also. Parents have more influence on their young children than anyone else. This is something that many parent struggle with. However, I think that you are largely right about the modelling behaviors. In this area of the world, kids LOVE fruit and a lot of vegetables, but it is largely (in my mind) because the parents get excited about fresh fruit sellers and traditional food. This makes the children think that these are fun and great, not boring and healthy (as the west often sees vegetables). Thank you His princesz for reading and commenting on my hub! Healthy kids certainly have a better chance at a successful life. Very helpful Au Fait, certainly parents have to make sure their children are eating right. Excellent nutrition equals excellent kids. Great and useful! Voted up! :) More success to you! Thank you sgbrown for reading and commenting on my hub! I love friend potatoes and onions! My grandmother used to make them the best! She was a short order cook in a small restaurant in Florida a long time ago. Thank you for commenting on my hub Shyron. I'm glad you're feeling up to doing that. Maybe your granddaughter will be born on my birthday! Mhatter99, thank you for reading and commenting on my hub! Aren't you glad your kids took to veggies? I think you should write a book. You're certainly talented with limericks and poems. Expect you could come up with some cute limericks to eat veggies to. Kids would have so much fun with them they'd forget they were eating veggies! Think about it. Thank you Glimmer Twin Fan for reading and commenting on my hub! Just keep praising your daughter when she tries new things, even if in the end she doesn't like them, because it will encourage her to keep trying. Does she favor sweet or salty? That may help you decide which way to go when preparing certain foods, and also what kinds of foods are likely to be most successful. My former husband like vinegar and salt, while I'm like anything that tastes good (subjective, I know). Thank you girishpuri for reading and commenting on my hub. Children learn most easily and retain what they learn best when they are very young. My daughter learned to read at age 4 and can't even remember a time when she didn't know how to read. This would be the ideal with veggies and nutritious foods -- teach children to like them so that they can't even remember a time they didn't like veggies, etc. Voted you up, useful and awesome. I hope my granddaughter reads this. My great grandchild is due in Jan/Feb. Useful hub, but so hard to do here. My daughter is picky even among picky eaters. She does love a few animals and vegetables and we continue to try to try. Sometimes she'll try something new at a friend's house and comes home proud that she enjoyed something new. Good job on the hub; have a great weekend. nice tips and suggestions and these days it is very difficult for the the parents, for developing veggi habits in children, they are addicted to fast food, useful hub.